Cool Air Solutions has provided San Marcos CA air conditioning and heating solutions since 2006. Our services include installation, design, repair and maintenance for residential and commercial clients. Read our reviews below to learn why your San Marcos CA call us first when they need help making or keeping thier home comfortable. Luke arrived an hour early! Of course he called to confirm we would be home... Service was friendly, efficient and he had the parts to make the repair on our home AC unit in 30 min. We are once again sitting in cool comfort. Got a call to set up the appointment and Luke came out on time. He was friendly and professional and really cared about my satisfaction. Everything is fine. MICHAEL PIERSON DID A GREAT JOB IN SERVICING MY A/C. HE IS HONEST, PROFESSIONAL, POLITE AND PROMPT. I HIGHLY RECOMMEND "COOL AIR SOULUTIONS" FOR YOUR HVAC NEEDS. Great service, quick diagnostic, and Adam had my system running in 20 minutes. Very knowledgable Technician, and was able to explain things in a way I could understand. Everything was explained in easy to understand language. Brian Carr and Bob Marson (Lowe's) were a delight to deal with. They were punctual, listened to our concerns and requests and went over all of the options thoroughly. At no time did we feel rushed or pressured. Brian was really good explaining all the new technology and what would it do to save energy. 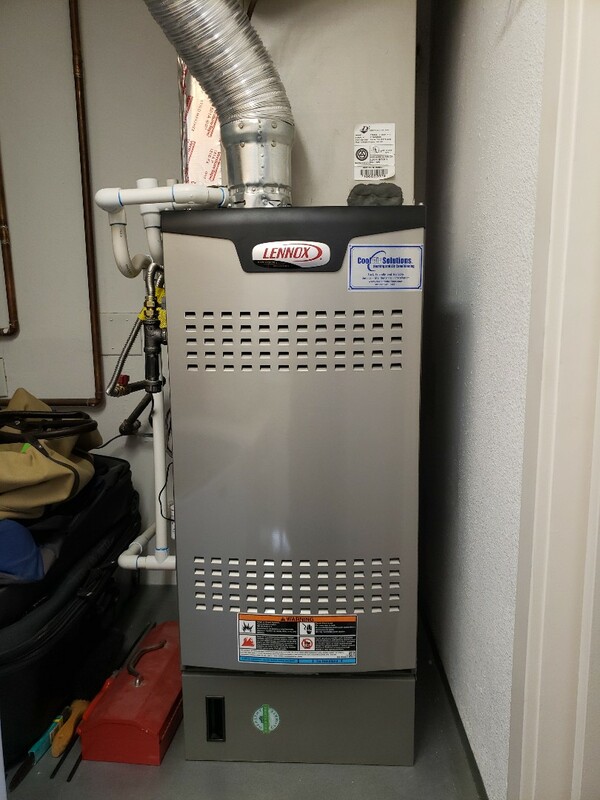 Furnace maintenance on a Payne system in San Marcos, Ca. Performed routine fall maintenance on armstrong air furnace in Escondido.